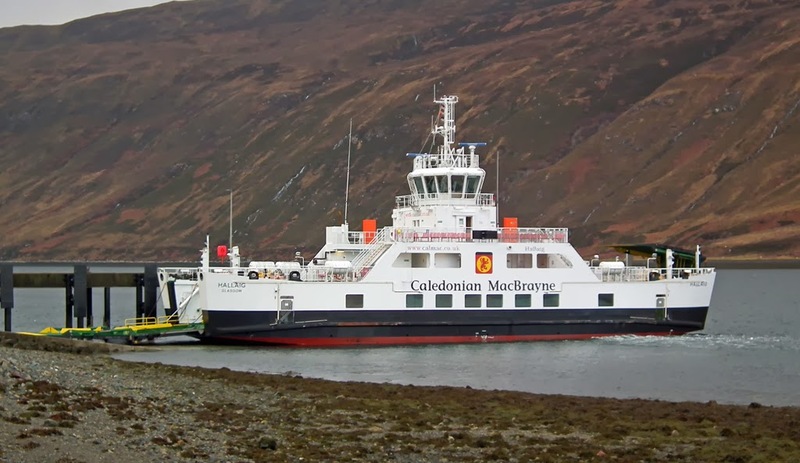 Caledonian Macbrayne's new Raasay ferry Hallaig at Sconser slip 26 February 2014. 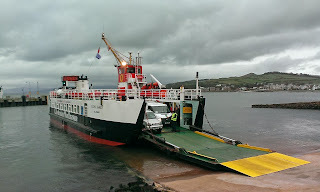 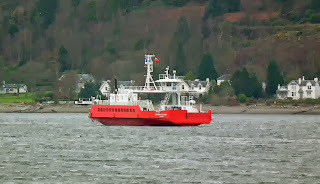 Western Ferries' Sound of Scarba sails from Kilmun to Hunters Quay to begin service 27 February 2014. 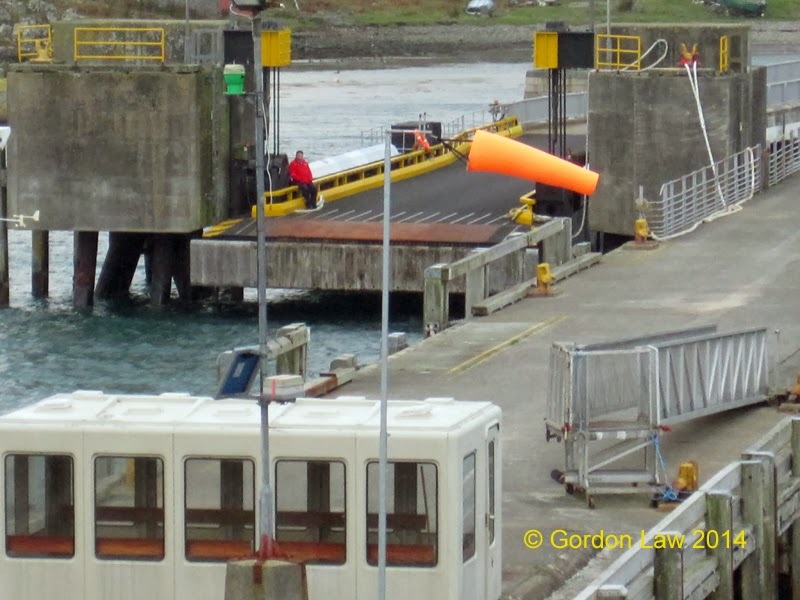 Loch Ranza stands in for Loch ShIra 24 February 2014. 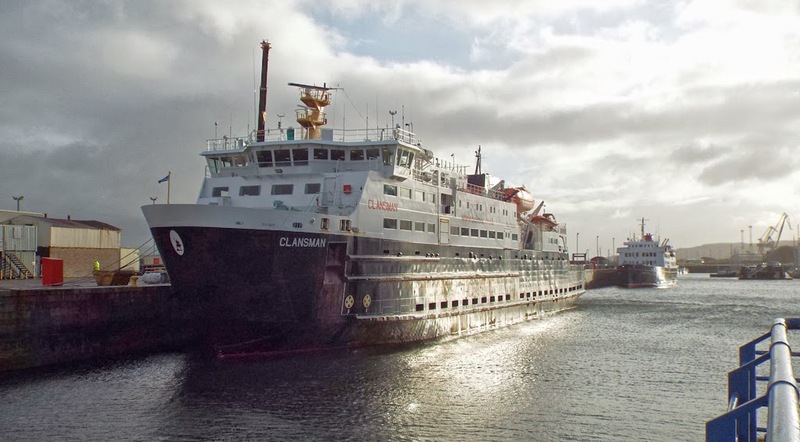 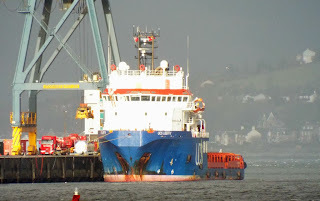 Loch Shira alongside Largs for some essential maintenance 24 February 2014. 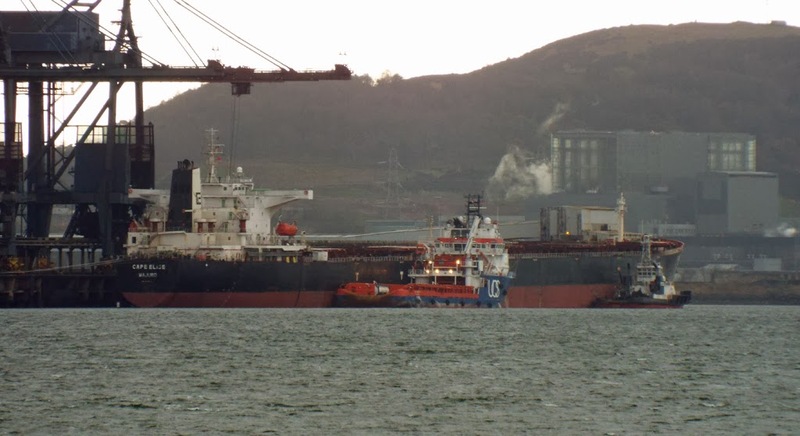 Disabled bulk carrier Cape Elise unloads at Hunterston, attended by Kestrel and UOS Liberty, 24 February 2014. 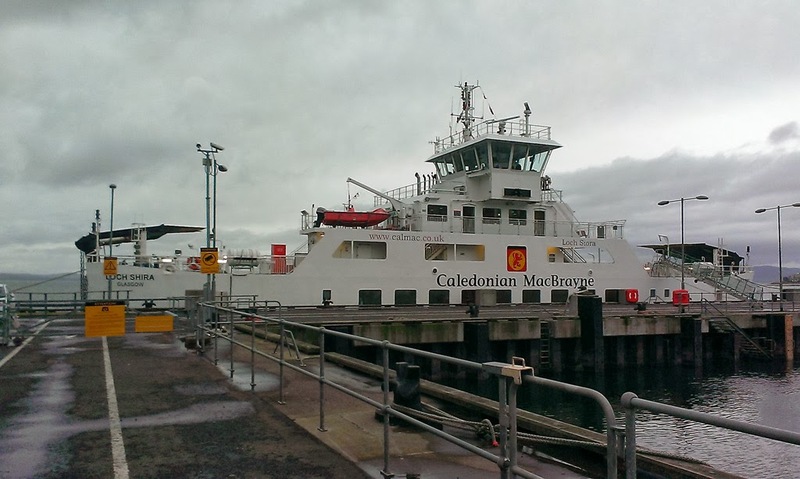 ClydeNavalGazing correspondent Gordon Law records his autumn wanderings. 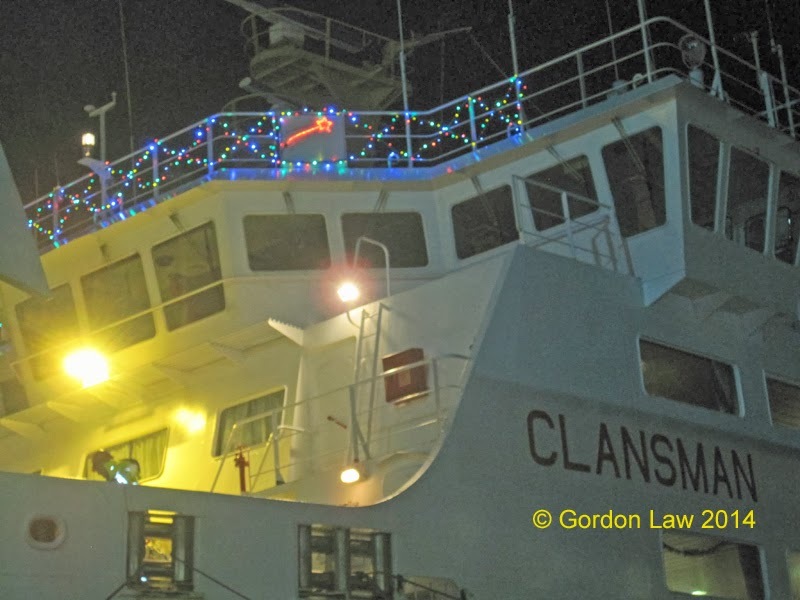 "Clansman's new MCA lighting" 11 December 2013. "Weather conditions at Colonsay - we did call - brilliant seamanship." 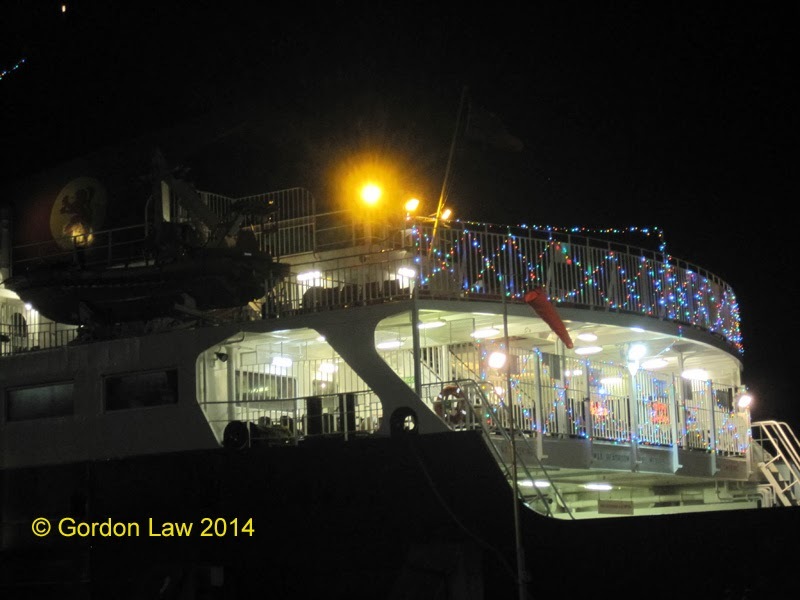 Hebridean Isles and Clansman in Oban with Ronja Pioneer at the Old Pier 11 December 2013. 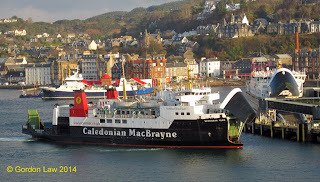 Caledonian Macbrayne's Clansman waits in JWD to enter the Garvel for annual maintenance 22 February 2014. 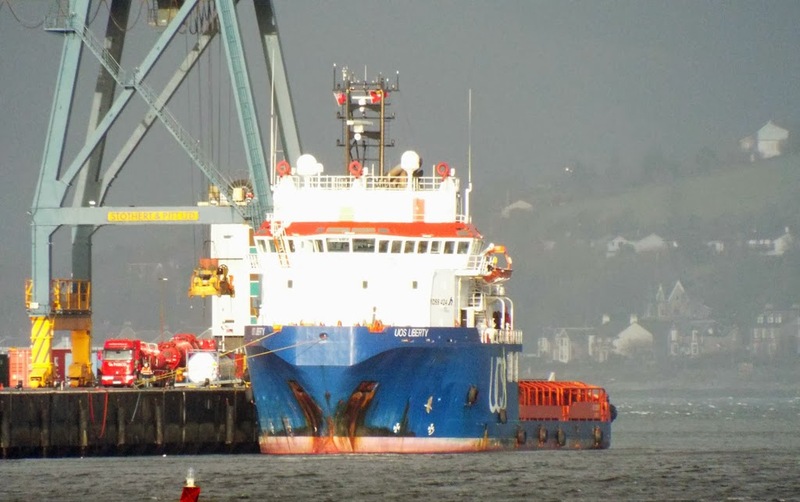 Anchor handler/tug UOS Liberty waits at GOT for further movements of the disabled Cape Elise at Hunterston 22 February 2014.